Turn the paper over and make horizontal and vertical folds in half. With the folds almost flattened and the point down, you will have a �boat� that you can float on the hot air currents over the campfire. 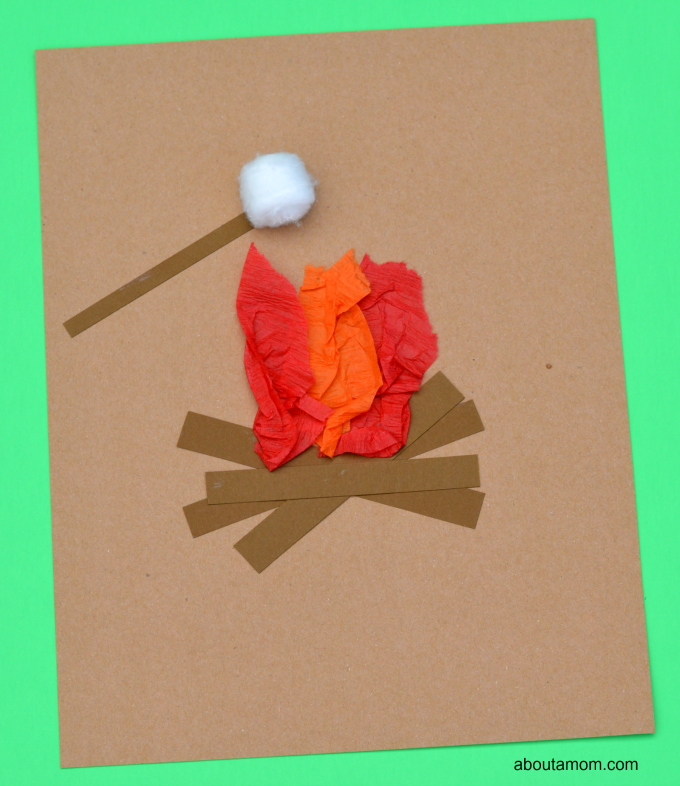 Little campers will get a kick out of this camping craft that's great for pretend play or a trip into the wild. While making this hat, your child will learn how to measure and create a crown that looks like a campfire, marshmallows included!